At Astrofísica de Canarias (IAC) and Complutense University of Madrid, a study has been made by the researchers, they examined distant objects known as ETNOs “extreme trans Neptunian objects”. These objects orbit the Sun at a distance greater than that of Neptune, and till now a total of 21 have been known. These distant objects, before being separate from each other and being start orbiting in their respective orbits, may have made up a dual asteroid in our solar system, by the mysterious Planet Nine millions of years ago. This is the conclusion of the study, which conducted the first spectroscopic analyses of asteroids 2004VN112 and 2013 RF98 – a pair with nearly same orbits. Research showed the evidences to support the existence of the hypothetical planet on the edge of our solar system, because asteroids may have a common origin, and recommend that they were produced by an encounter with a much more immense object. Still, there is much more to know about these objects. 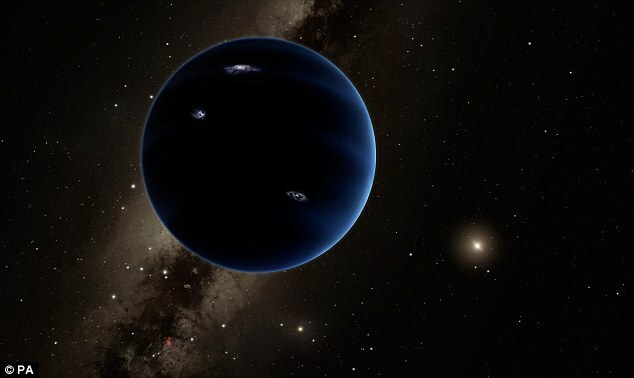 Related to the hypothetical Planet Nine, proposed in 2016, there are still some questions in our minds about its nature, but these queries would be easy to understand by the presence of one or more planets several times more massive than Earth orbiting the sun. This study could prove as turning point to characterize ENTOs to confirm or disprove the existence of the elusive planet. The researcher measured the object’s magnitudes and recalculated the orbit of the 2013 RF98 using the OSIRIS spectrograph on the Gran Telescopio CANARIAS (GTC), in the Roque de los Muchachos Observatory. Their orbits, they found, are nearly same, and the poles are divided by just a small angle, proving the presence of a massive body in the outer realm of our solar system.